Once you join a group, try and contribute. You might not want to jump in immediately – go through the past discussions; see what the group’s personality is and what are the most popular subjects (and the most unpopular) and go from there. If you have some advice to give or a story to share, go for it! Once you feel like you know the group’s personality, start a discussion about the most recent pain point at your credit union. Don’t be scared to ask for advice and don’t be afraid to give it either! You may not have something to share right way but if there is a question posted that you know the answer to, just go ahead and contribute! Help a fellow credit union professional or community member out! When you give advice, or comment on a post, try to do it in a way that doesn’t embarrass the one who posted or the others who have commented. You don’t want to be known as someone who is there to just make trouble. 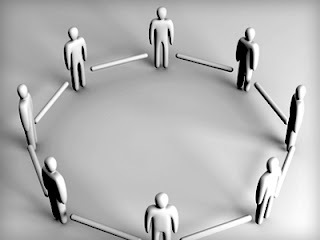 You want to make friends and make connections to grow your network and SEG base. You will find that people in groups are incredibly willing to help- especially credit union groups with other credit union professionals and credit union consultants, etc.. there is a lot of free advice sharing in groups. Don’t just “receive” though.. give a little as well! Make sure you contribute to other’s questions to the best of your ability! If someone helps you, you should invite them to connect to your network on LinkedIn. You never know who they know! If they were willing to help you once, they are probably willing to do it again. You want as many of those people in your network as possible! Social media is all about being social, right? Groups are a great avenue to network, be social and connect with others in the credit union space and in your community.